Balboa Academy’s Spanish Program, in Kindergarten and First Grade, is based on oral communication and traditional children’s literature. During these two years, our students are focused around a series of themes that directly correlate with the themes in the classroom. Some of the themes are school, friends, feelings, animals, transportation, celebrations around the world, community helpers, seasons, the continents, families, and homes. In addition, we discuss Panama’s history, the geography of the ten provinces and the indigenous regions. Finally, we supplement the class activities with other themes and previously learned concepts that students have mastered such as colors, numbers, and shapes in order to successfully build lasting skills in Spanish. 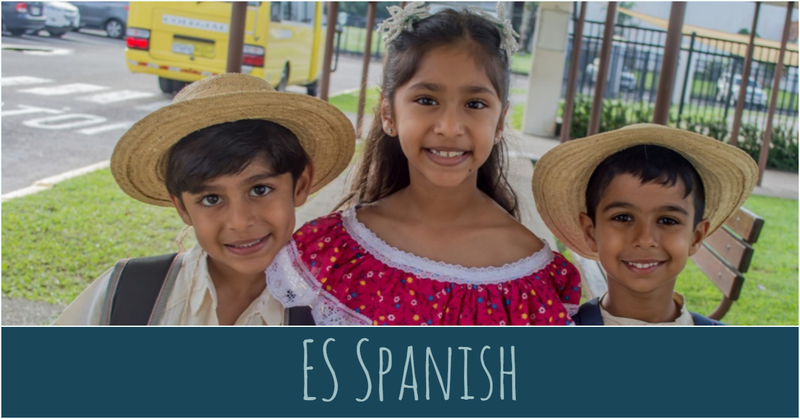 In Second, Third and Fourth Grade, our goal is to develop and encourage fluent readers, writers, listeners, and speakers of Spanish. This program is complemented by the Español and Lectura textbooks, which provide challenging stories and texts for students to read. Both are comprehensive reading and language arts programs that include reading comprehension skills, phonics, word analysis, spelling, grammar, vocabulary, and fluency. In Spanish class, students read story books appropriate for their age and Spanish reading level. Spanish classes involve students in active and motivating activities such as vocabulary building, oral activities, learning games, video analysis, and new technological tools that will enhance their language experience.